Verizon has a nice sale going on for the Motorola Moto Z3. With the optional 5G Moto Mod accessory, the phone will connect with Verizon's next-gen network once the service becomes available for mobile devices. But you can get prepared now by purchasing the phone for just $10 a month over 24 months. This deal is available to both new Verizon customers coming over from another carrier, or current Big Red customers who add a new line. If you are a Verizon customer and don't want to add another line, you can upgrade online to receive a $200 discount. This amount is applied as a bill credit over 24 monthly billing cycles, reducing the monthly price to $11.66. The actual retail price of the phone is $480. The 5G Moto Mod, not yet available for purchase, recently received FCC certification. The accessory will use a Snapdragon 855 Mobile Platform and a Snapdragon X50 modem chip to offer 5G connectivity. 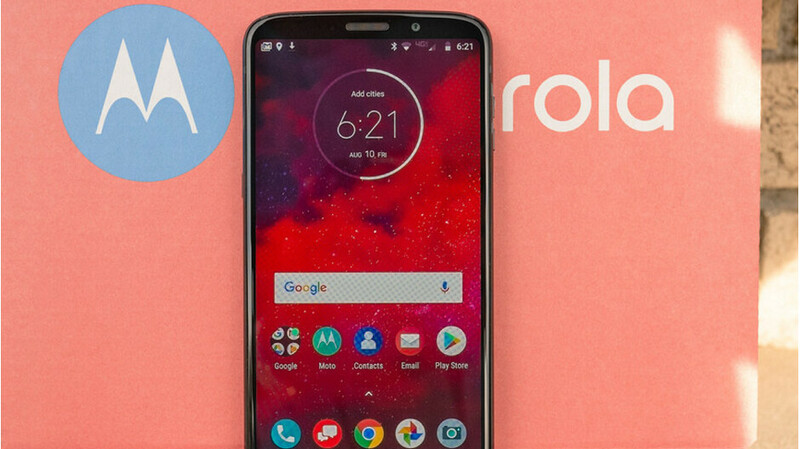 It also features an X24 LTE-Advanced modem since the Moto Mod, once attached to the Moto Z3, takes over all modem functions for the handset. It also comes with a 2000mAh battery so that the Moto Z3 battery doesn't drain too quickly. If you want a cheap 5G phone, and also be prepared for the day when Verizon flips the 5G switch in your neighborhood, this deal might be too good to pass up. 5G will be great in big cities but rural areas will be stuck in 4G, since they aren't going to run 40 of those antennas up a mountain to 1 rural neighborhood, let alone the thousands that are out there.